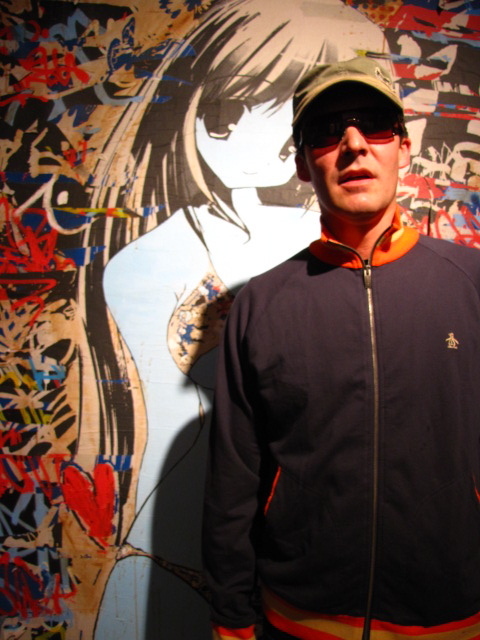 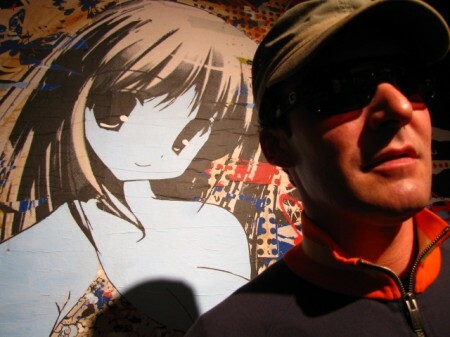 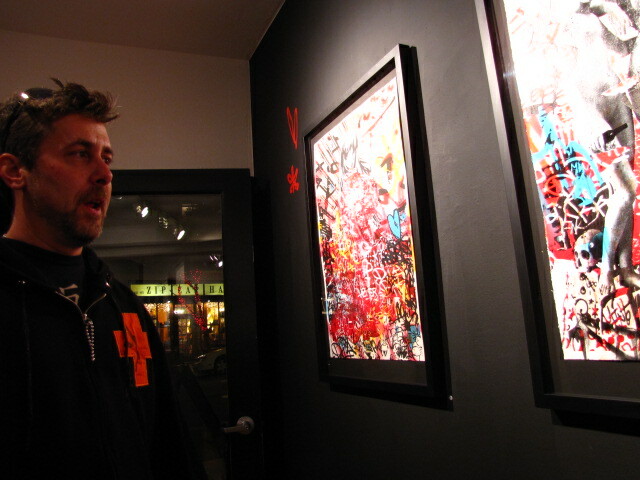 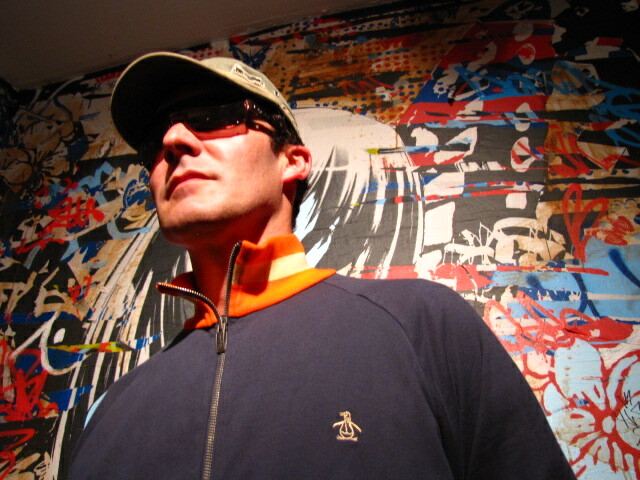 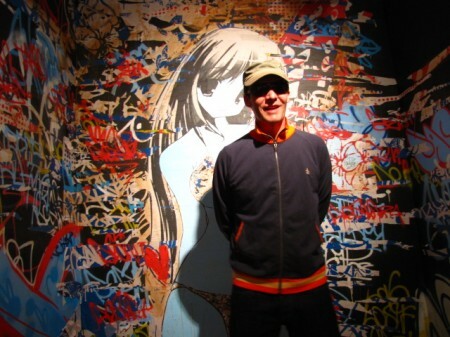 AM was on hand last night as Newcastle’s notorious Hush (interviewed) made his first Bay Area appearance at Upper Playground’s FIFTY24SF gallery. 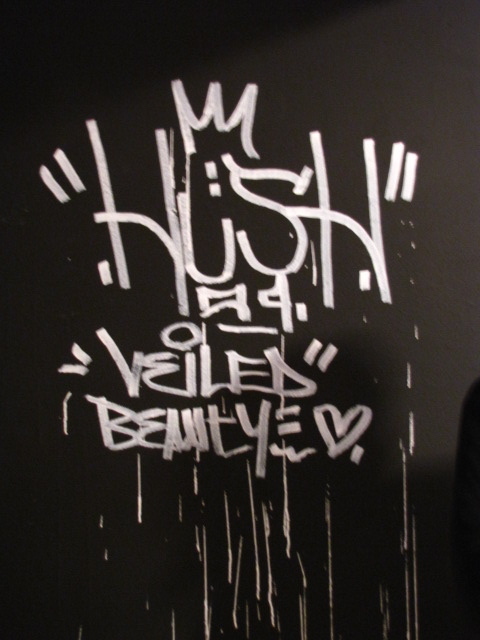 Following on the heels of his smash Carmichael show in Los Angeles last month (covered), Hush certainly came correct for his second solo showing stateside. 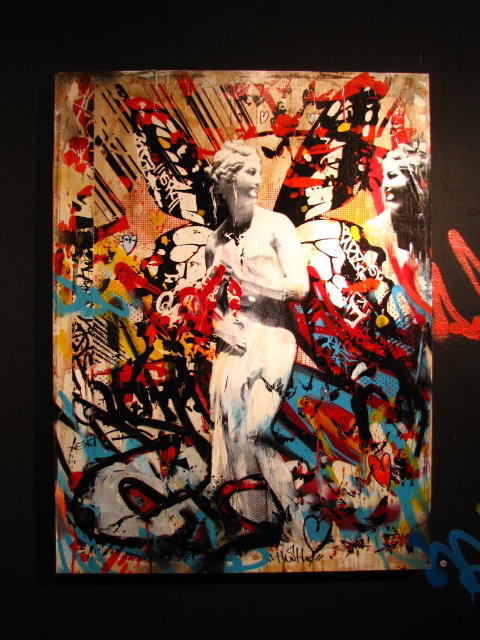 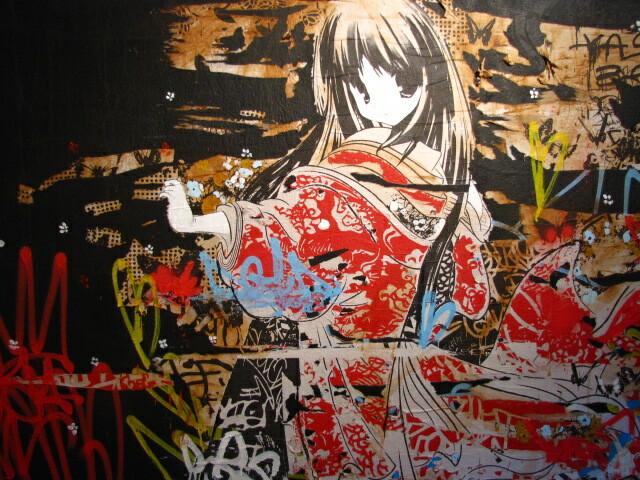 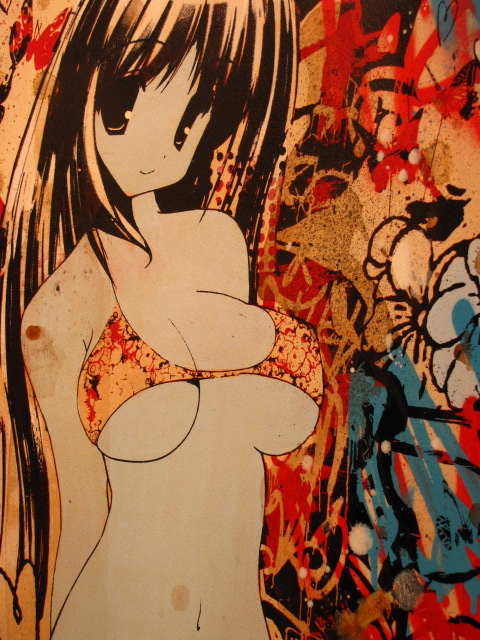 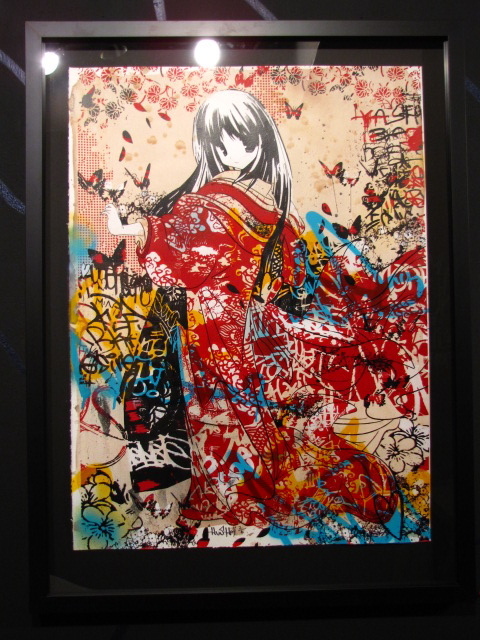 Combining a couple cool outdoor pieces, some original canvases and murals, and a plethora of editioned prints, “Veiled Beauty” certainly offers a multi-faceted look at this artist’s range of production. 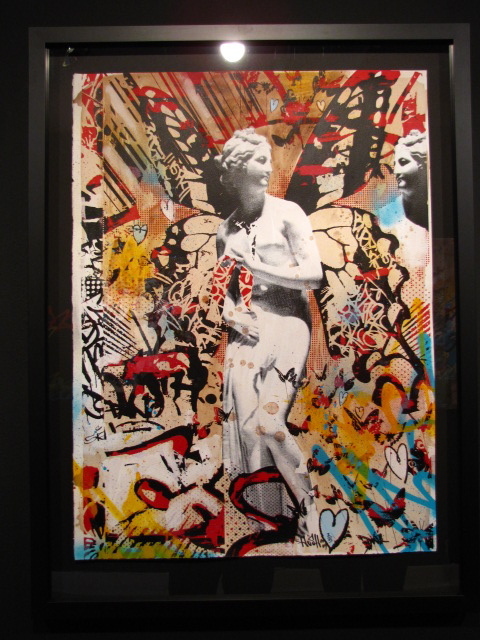 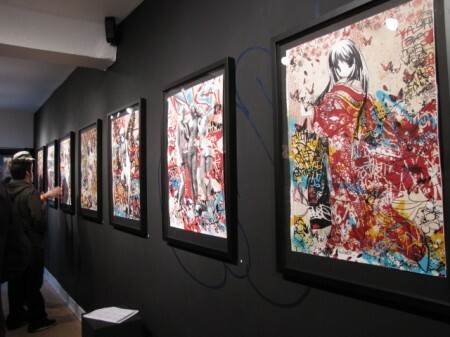 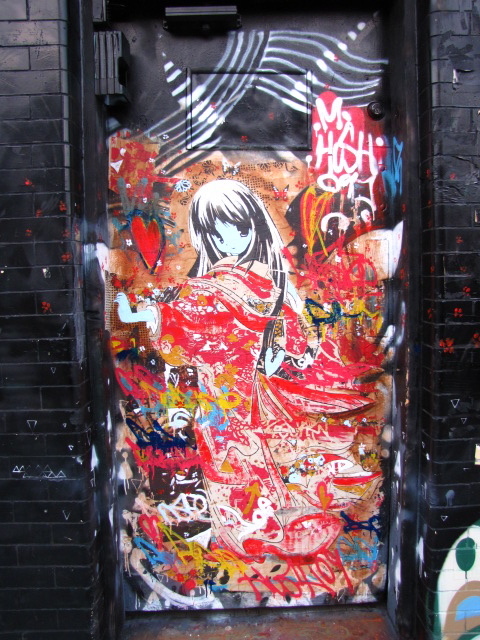 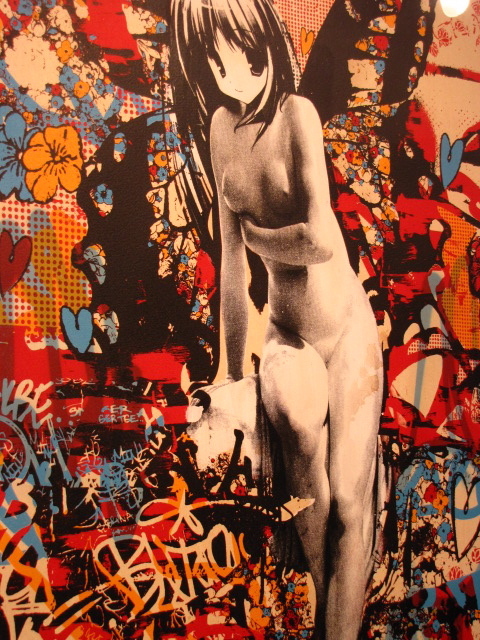 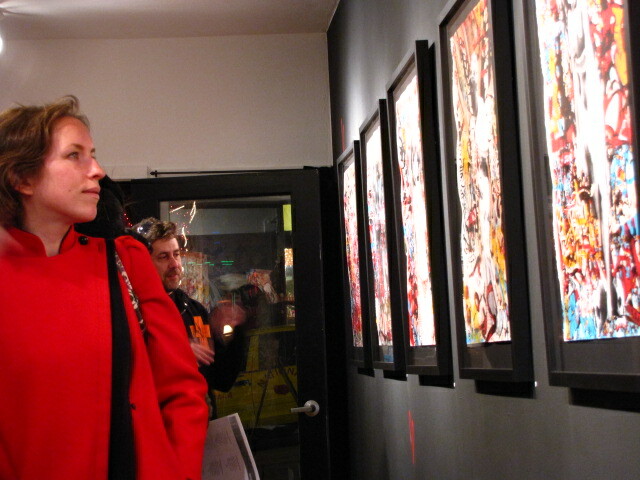 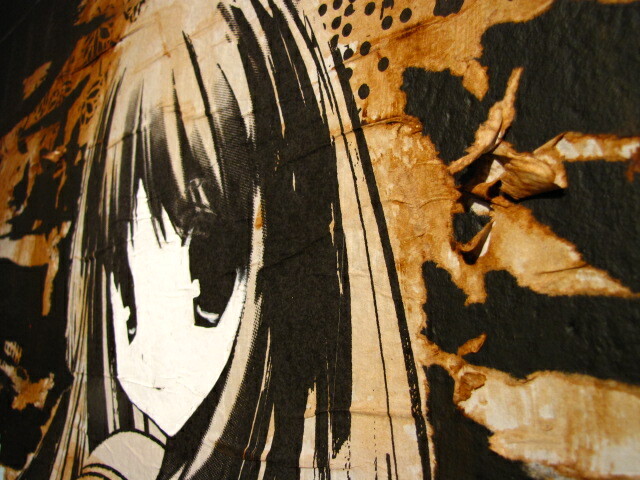 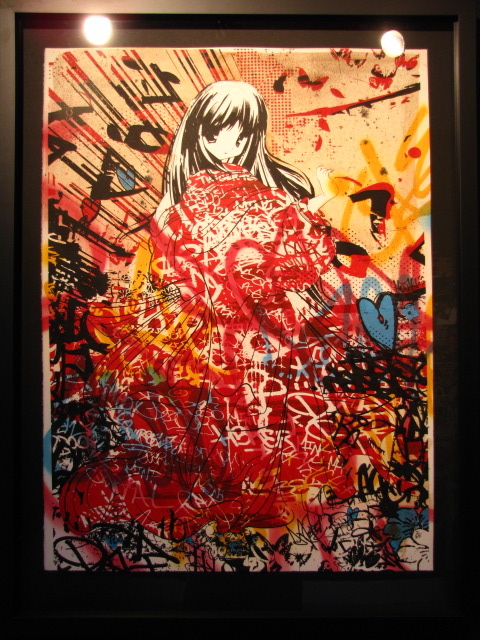 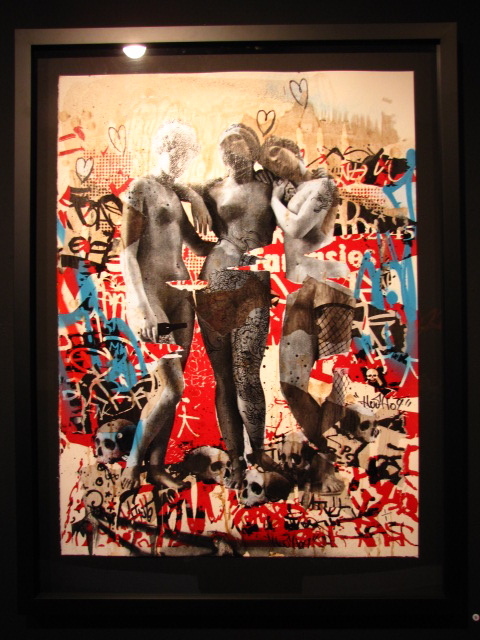 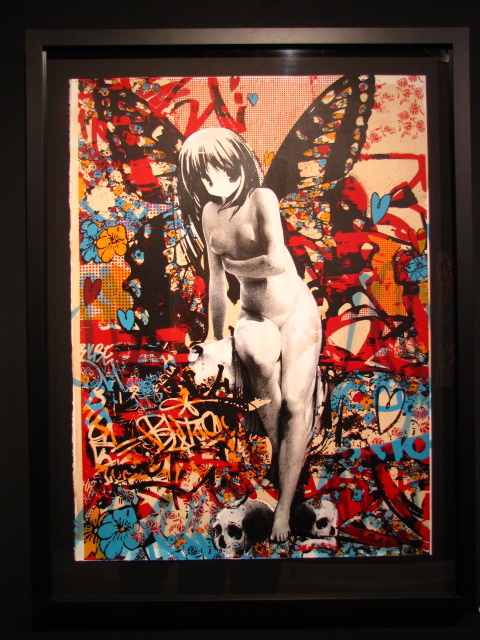 The show, which was originally slated to be called “Printed Matter”, did focus mainly on Hush’s series of hand-embellished prints. 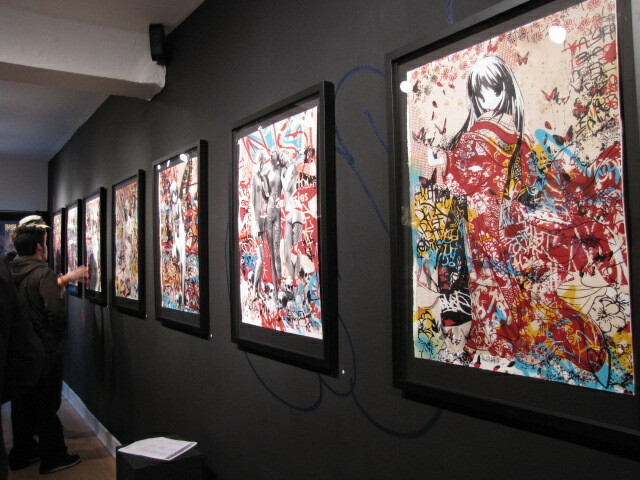 Kept to low editions, many of Hush’s screenprints sold out before the opening, though with prices as reasonable as $350 for an unique print of 10, that’s not terribly surprising. For the fans unable to afford a print or original, Hush was on hand with a stack of signed stickers to give away as he happily chatted and mingled with the crowd. 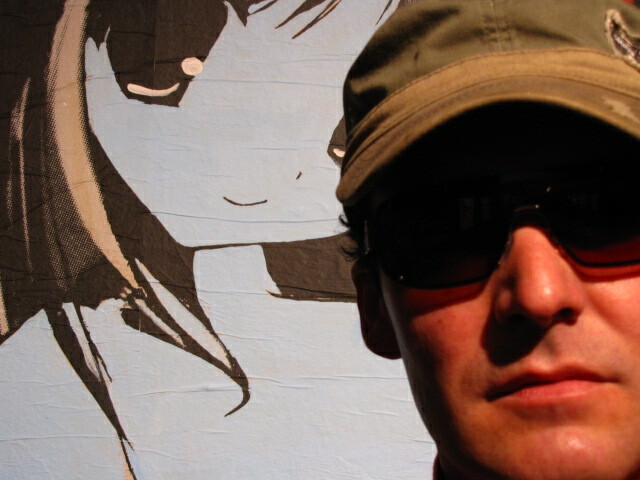 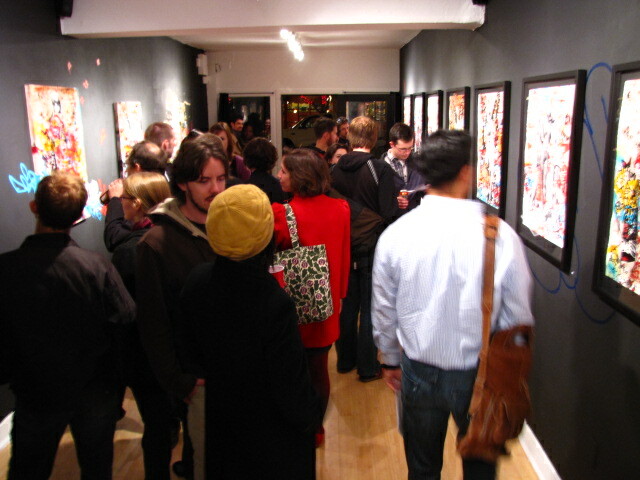 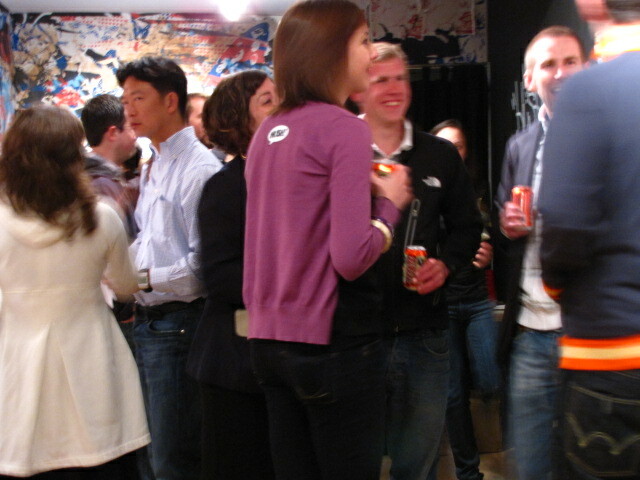 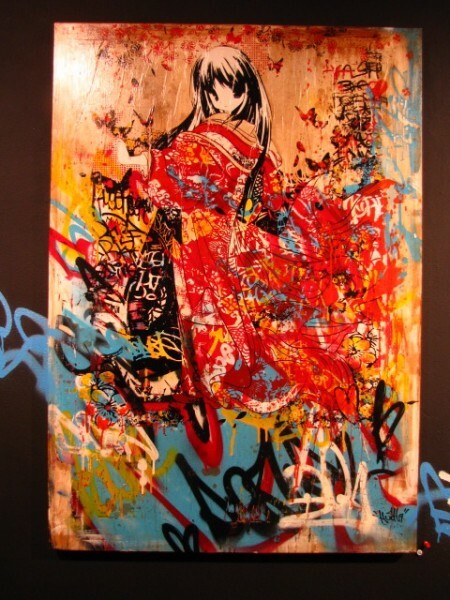 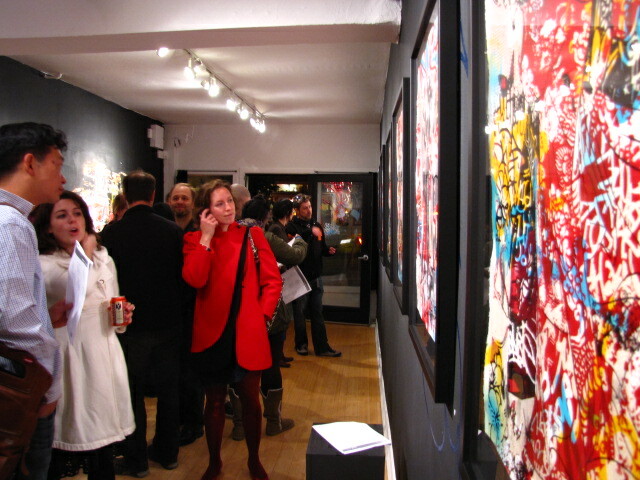 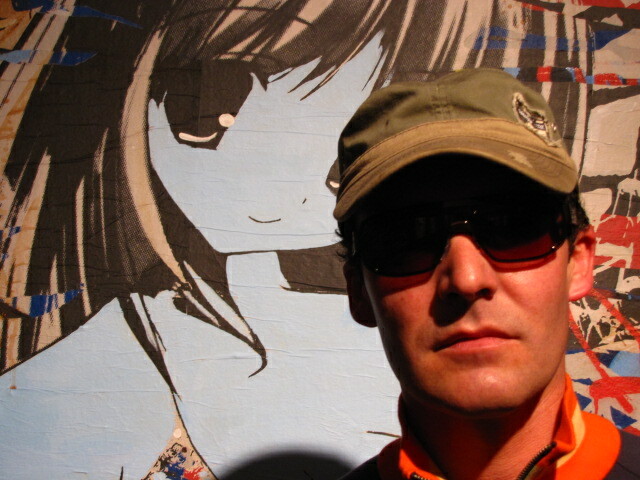 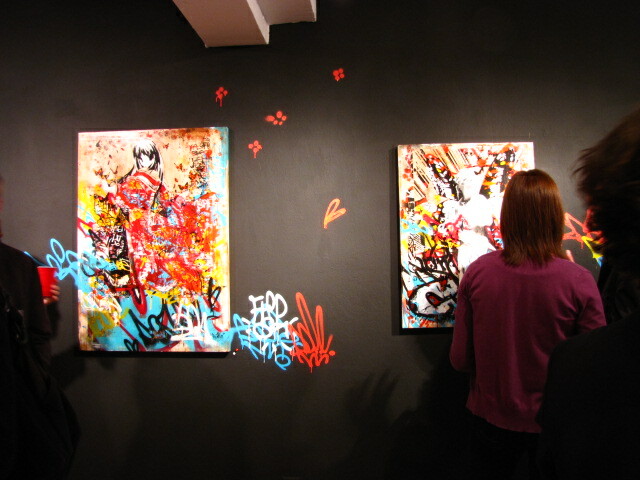 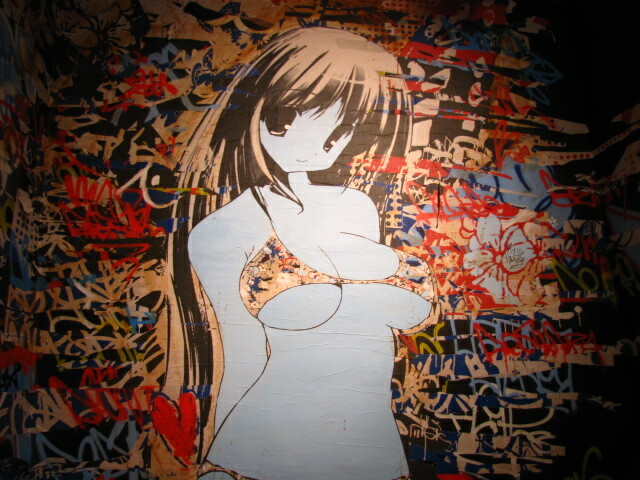 Categories: Art, Openings, Shows & Events, Street & Urban Art. 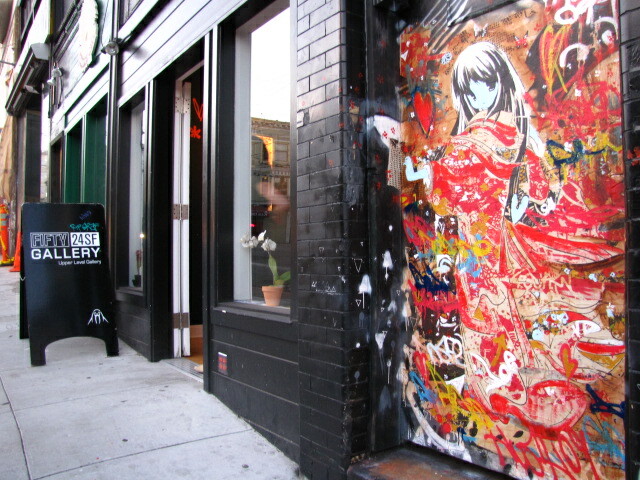 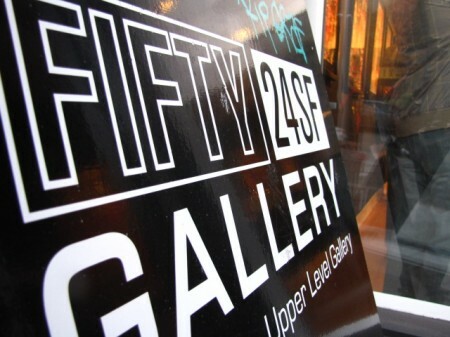 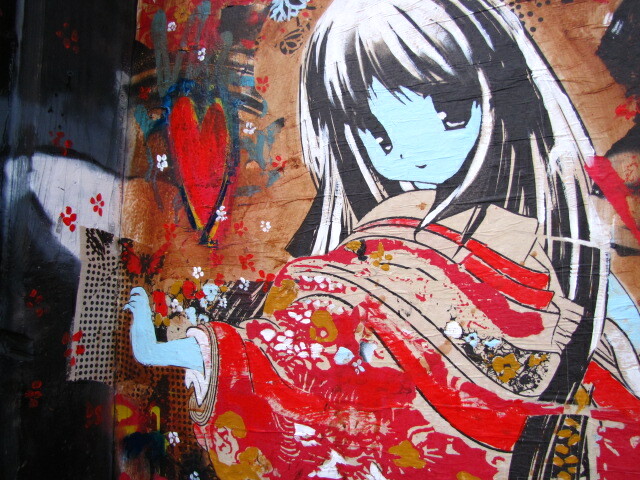 Tags: Fifty24SF, Hush, San Francisco, Shows & Events, Street & Urban Art.